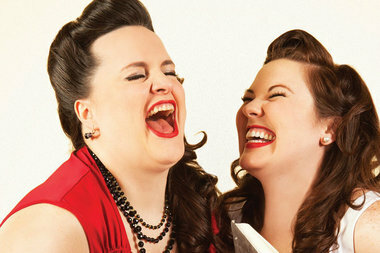 The Kates, a rotating troupe of funny women, will perform Friday at The Book Cellar. LINCOLN SQUARE — In the event your life doesn't revolve around the Cubs, we've gathered a bunch of options for weekend fun that have nothing to do with baseball. And if it does, most of these activities conveniently wrap up before game time. Our top pick for counter-programming: The Kates at The Book Cellar. You never know what you're going to get when you attend a performance by this rotating troupe of funny women: storytelling, stand-up comedy, musical numbers, clowning — they do it all. The show starts at 7 p.m., 4736 N. Lincoln Ave. Admission is a $10 suggested donation. • The Horner Park Farmers Market has extended its run through Oct. 24, 9 a.m.-1 p.m., 2741 W. Montrose Ave. Pick up some apples and try this tip from the market's organizers: Slice one apple into a bowl, sprinkle with cinnamon and brown sugar, microwave on high for four minutes and enjoy plain or a la mode. • Chicago has lost thousands of trees to the Emerald Ash Borer and storm damage. The folks of Ravenswood Manor have been collectively replacing missing parkway trees with help from Openlands. A volunteer tree planting day is scheduled for 9 a.m.-2 p.m. Saturday. Meet at Ravenswood Manor Park, 4626 N. Manor Ave., and bring work gloves, boots and drinking water. If you have a wheelbarrow, bring that too. • Choose between a pair of fall fests, or hit up one on Saturday and the other on Sunday. Athletic Field Park, 3546 W. Addison St., will have pony rides, a pumpkin patch, petting zoo and train rides (train is Saturday only), in addition to food and drinks. Admission is free but activities cost $2-$4; 10 a.m.-4 p.m., Saturday and Sunday. The Harvest Festival at North Park Village Nature Center, 5801 N. Pulaski Road, includes a scarecrow building contest, storytelling, nature crafts, live music, farmers market and seasonal refreshments. Admission is free; 10 a.m.-3 p.m. Saturday and Sunday. • Mr. B's BBQ, 4160 N. Lincoln Ave., has a great deal for families the entire month of October. Kids eat free, all day, every day through Oct. 31. Bring in youngsters age 12 and younger for chicken fingers, cheeseburgers, mini sliders and more. Normally a $6 value, the deal is only available with an adult purchase of $14 or more.